Isn't it Too Early for Teixeira? Couldn’t ask for a better start to the season. Of course this game means nothing when you look at the big picture, but it’s always nice to begin the season on the right foot. Could this be the season that Teixeira hits over the Mendoza line in April? That ball he hit in the third was smoked. 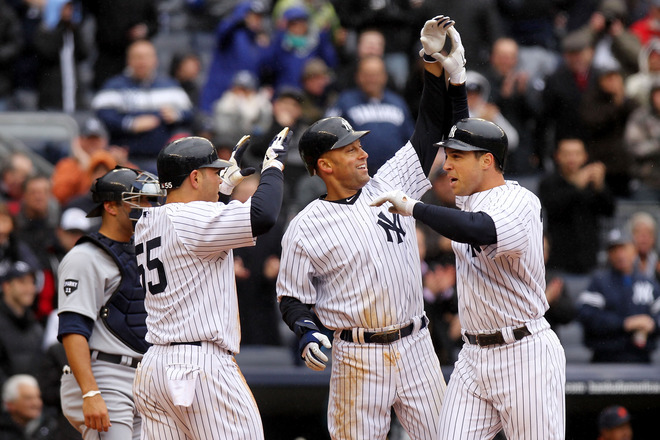 The Yanks will be definitely need that kind of power in the three hole in order to keep pace for the division. And how bout my man Granderson! If he hits lefties like that all year, this lineup will be lethal. Overall, that’s a great performance by the offense. I’ll take six runs on Opening Day anytime. Sabathia wasn’t as sharp as I’ve seen in the past, but he pitched well. CC isn’t a first half pitcher, so whenever Girardi can get him to go six strong with three earned or less, that will be fantastic. We won’t expect CC to give us his eight innings with one earned until August. Even though Joba looks like he’s gained about 25 pounds this offseason, his stuff looked good. His slider was down and he was locating his fastball very well. Rafael Soriano also looked lights out. If he dominates the 8th inning, the Yanks will be in a good spot by the end of the season. And of course, Mo was Mo. 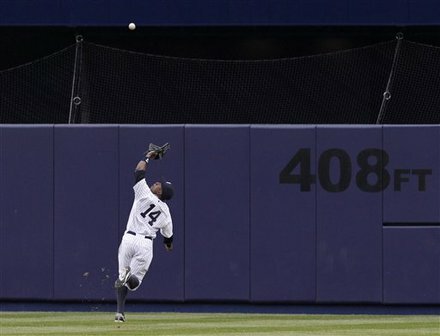 Today’s Player of the Game has to go to Curtis Granderson. With two amazing catches in center field and a nice solo shot, he deserves to be our first Player of the Game of the 2011 season. Yanks take on the Tigers Saturday at 4:10pm. Wow, I can not believe it’s opening day! I’d love to do a more comprehensive breakdown of the upcoming season, but time is not on my side. I’m going to quickly discuss each division and then give my predictions for order of finish and the playoffs. The Giants are clearly the favorites here, but there are plenty of other intriguing teams. The Padres can flat out pitch, but probably won’t be nearly as good as last year. Their lineup is even more awful now not Adrian Gonzalez is gone. The Dodgers look to have problems too, and their lineup isn’t scaring anyone either, while their pitching is certainly a strength as well. The Rockies are looking pretty good as they’ve locked up many of their young stars, but they need to pitch well to succeed this year. The Diamondbacks are still in rough shape and will likely be far below the other four teams. Overall, I think the Giants are the best team in the division still because they can pitch so well. Pitching wins championships, fact. The Dodgers, Rockies and Padres are all decent and might very well finish at or above 500. The NL central is pretty wide open these days and a clear favorite is tough to pin down. The Cubs added Matt Garza and I really liked that move, but the rotation still has alot to prove with young arms and wildcards like Zambrano. The lineup is alright, but not much better than average. They have some big bats but just power, not average guys. The pen should be very good though. Its hard to imagine the Reds can be as good as last year. They’ll still be solid with a decent lineup and some good arms, but the rotation depth isn’t where it needs to be right now. The Astros have been pretty mediocre for a few years now and it doesn’t look good for a big rebound this year. The lineup and pitching staff look to be average at best, and that’s all the Astros can expect this year. The Brewers got Greinke and that was big, to add to a lineup that is pretty good, and the Brewers are looking pretty good this year. The Pirates, well they’re the Pirates. Young, unproven and overall just not very good. The Cardinals chances took a big blow with Wainwright going down, but they still have a solid lineup and a staff that can get it done. The Cards need some help, but they should contend. Overall, it’s hard to not like the Brewers if Greinke and Gallardo pitch to their capabilities. They have a good lineup and have a chance to pitch well. The Reds should be around and contend, while the Cardinals too. The Cubs seem to be alright but not good enough. The Phillies obviously have the rotation to die for. If they live up to the hype its hard to imagine anyone else keeping up with them. The Braves should be solid again and added a nice bat in Dan Uggla. The Marlins quietly got better, but still have some holes. The Mets are tough to pin down, they improved a bit, but need Johan Santana, and the old Johan. I really liked the Chris Young signing, and the lineup has potential to be decent. The Nationals got a bit of help with the bats but their prize and attraction Strasburg isn’t going to out there so no one cares for now. The Phillies have to favorites with the staff, but they need to hit too and have those guys stay healthy. The Braves look pretty decent and their pitching could be surprisingly good. The Mets have the components to get better and the Marlins are quietly better too. The Nationals don’t look terrible but need to pray their pitching is better than it looks. The Rangers came alive last year and look to be headed in the right direction again as favorites in the West. They can suddenly pitch, but need those guys to be as good as last year and not make it look like fluke. The lineup is good, so their fate rests in getting good pitching again. The A’s are underrated and actually look to be solid in pitching as well. The Angels have potential in their rotation, but the lineup isn’t great and the pen too. The Mariners lineup is terrible but their pitching has some potential, especially if Bedard can be great again. Overall it’s easy to see the Rangers winning the division again, though they might not win as many games as last year. The A’s and Angels could be alright, while the Mariners could be terrible, or just ok.
You can’t help but like the rotation for the White Sox. The lineup is improved too with some big bats and the Sox look to be the front runner in the Central. The Twins look to be decent again, but they need some improvement from the rotation which has been a bunch of mediocre guys for a while now. The Tigers lineup looks very good again, but they need the pitching to back it up. The Indians and Royals look to be pretty bad this year, as both their rotations are suspect. Overall, I like the Sox alot and the Twins and Tigers you can’t sleep on here. The AL East is the best division in baseball. Last year there were 4 teams that won 85 games, and its possible the division is better this year. The Red Sox might have picked up Crawford and Gonzalez, but its their pitching that might be the difference this year. The rotation has the potential to be great, and perform much better than last year when they fell the injury and struggled at times. The Yankees lineup and bullpen are the best in baseball, but they have alot of questions in the rotation. If the rotation does well, the Yankees could be great, but that’s a big if. The Rays lost some of their young pitching talent when they traded away Garza and I think that’s more important then people think. Their lineup is ok, but guys like Manny and Damon won’t be like they were in their prime. The Blue Jays still have a pretty good lineup, but they might have overachieved last year. The rotation is ok, but I expect the Jays be a bit worse then last year. The Orioles actually did the most to improve this offseason. The lineup might be old in some spots, but it has the potential to be a bit scary. If they can find some pitching, they could surprise us a bit. Today I’m going to review some of the first year coaching hires around college hoops. I’ll give my top ten for the year and also discuss some guys who didn’t make that list. My rankings will be based off of this season’s performances and how the future looks for the coaches. Fran McCaffery (Iowa)- McCaffery experienced a pretty good amount of success at Siena and took his cause west to Iowa City. The first season under McCaffery wasn’t terrible. The Hawkeyes were competitive and ended the season with a nice upset of Purdue. McCaffery can clearly coach, but he needs better players for Iowa to succeed. The future under Fran doesn’t look bad, but I don’t see any jump to the NCAA tournament in the immeadiate future. Oliver Purnell (DePaul)- Oliver left Clemson for another rebuilding project in Chicago. Purnell plays a style that is perfect for taking a team from the dungeon and bringing them up to a reasonable level. Purnell is not going to take a team over the hump and he proved that at Clemson. His teams can never win in March because of the style. Its good for teams with less talent, but it can’t win against fast athletes, even with great athletes. Purnell’s first season wasn’t good, but I do believe he’ll be alright down the line. He’s got a nice recruiting class coming in and I expect Depaul to get out of the cellar in a few years. Tom Pecora (Fordham)- Pecora took over a struggling Fordham program and had an expected tough first year, with a few positives signs. I do think this hire could work out for the Rams down the line. Pecora built Hofstra into a viable program that is in the middle of the pack in the colonial. With some work Pecora can get Fordham out of the cellar and into atleast that pack in the A10. Fordham is a program that is better than Hofstra and in better position to succeed but Pecora will need to convince everyone of that again. 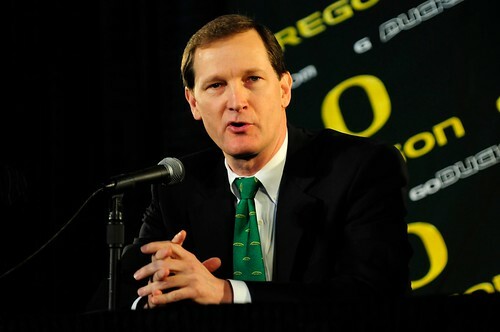 Dana Altman (Oregon)- Dana’s season isn’t over yet as the Ducks are playing Creighton in the finals of the CBI this week. Altman returned to Omaha last night against his former team of 16 years and got a nice reception despite leaving for the green in Eugene. The first season has been up and down, but overall I’d say fairly positive. The Ducks showed some improvement and will finish above 500, and could still win the CBI with two wins this week. Dana just missed out on the top ten for me. Tony Barbee (Auburn)- What a tough year for the Tigers. Barbee is only partially to blame because the Tigers were so young and inexperienced. Barbee experienced success at UTEP and I didn’t think it was a bad hire when Auburn made it. I still believe that he can succeed but it might take a while. They need to recruit well to get things rolling, so lets see if they can make some strides next year. Kevin Willard (Seton Hall)- It was a tough year for Seton Hall. They lost Hazell for a good portion of the year and that hurt their momentum. Despite that they had a bunch to like because they did pick up some random exciting wins. In the Big East this year we’re not sure what to think of Seton Hall, but it wasn’t awful. We’d like to see Seton Hall start to pick up some more depth and prove they can get out of that bottom part of the Big East before proclaiming Willard a winner. The Pirates have already tried a New York coach recently and it failed, but maybe that was just unlucky. Mike Rice (Rutgers)- Mike Rice I liked a bit more than Willard this year despite a slightly worse record and result. Rice’s team showed a little more consistency and improvement throughout the year. Rice was successful over a bit longer time at Robert Morris, but he still has a lot to prove on the big stage. I think Rice has a little more room to grow over Willard, but by now means am I sure he will be highly successful at Rutgers. Jeff Bzdelik (Wake Forest)- What happened at Wake this year? Well obviously personnel was a problem, but I did not think they would be that bad. Bzdelik did nothing to give Wake fans hope, but what happened in Colorado is interesting. He did build that program back up and those guys almost made the tournament. Jeff has had success at Air Force and now kind of Colorado, so what gives with this? Overall I think Bzdelik will turn it around a bit, but I’m not sure I have the faith he can make the Wake program what it can and should be on a yearly basis. Wake is a job that should be able to lure people from some pretty good jobs, but it seems like the AD might have had an ultimatum here, being that Bzdelik and him were friends. Let’s look for Wake to improve next year as the young players get older, but Jeff has to prove to us that he can coach them up too, because it appeared neither happened this year. Ok, so those are some important guys to mention, in no particular order. Now I move on to the ten coaches I liked the most over their first year. 10. Billy Donlon (Wright State)- Brad Brownell left for Clemson this past April and Donlon, his top assistant, took over a team that needed some help to keep up what they had done under Brownell. In his first year Donlon did well, keeping Wright State in every game and coming out with 18 wins in his rookie campaign. Donlon comes from the coaching lines of Brownell and that is something to be excited about. Wright State was quick to hire him after Brad left and there was a reason for it. I think he has a bright future ahead of him, but he needs some help on the recruiting trail. 9. Tom Herrion (Marshall)- Herrion is no stranger to success on the court. After a fairly successful four year string at the College of Charleston, he worked under Jaime Dixon at Pitt. Marshall’s successful season was overlooked this year because it wasn’t quite good enough to receive any legitimate NCAA consideration. The Thundering Hurd were good enough for a 22-12 record and might have a bright future under Herrion. If Herrion can keep up the success, then he might get calls soon. Gaels are actually pretty decent. Earlier this year they went to Syracuse and almost came away with an upset before falling by six. Additionally they beat Richmond. Cluess clearly can coach and I expect him to be moving up in the world of coaching in the next few years if he can keep it up at Iona. 7. Greg Lansing (Indiana State)- Lansing took over an Indiana State program this past June after serving as an assistant for many years. The Sycamores were a 500 team last year, but made a trip to the big dance in his first year. After struggling early on in the season they turned it around in conference play and then upset Missouri State for the title in St. Louis. With a good portion of the team returning for next year, expect the Sycamores to be even better in a competitive MVC next season. 6. Greg McDermott (Creighton)- The first season for McDermott was almost really good. The Jays were the victims of a lot of close losses, especially on the road and at the buzzer. McDermott’s son joined the team as a freshman this year and has been one of the top freshman in the country. Add in sophomore transfer Greg Echenique and the future looks bright. Next season should be be pretty good if the Jays can improve on defense a bit. McDermott has been successful at the mid major level before and looks to be on his way to a bright future at Creighton. Expect the Jays to be back on top of the Valley in the coming years. 5. Tad Boyle (C0lorado)- Boyle is connected with one of the most puzzling coaching carousels this past year. When Jeff Bzdelik left for Wake Forest Colorado was expected to be improved this year, but Boyle exceeded expectations for the Buffs. Clearly the Buffs could have been in the tournament and ended up losing in the final four of the NIT. Boyle is an interesting guy to me because is he successful from the players who were there this year, or was he a much better coach then Bzdelik who looked bad in Winston Salem this year? Tough call, but for now Boyle looks like he did a good job and will need to go get players now. 4. Donnie Jones (UCF)- Jones came from a successful run at Marshall and began his campaign in Orlando red hot. When UCF jumped out to that terrific start many had them as a top 25 team, but after dropping fast in conference USA things really went downhill. A late season surge though has once again raised optimism. Led by Sophomore Marcus Jordan, the Knights look to be headed in the right direction. With alot of resources at an up and coming athletic school, Jones and the Knights should be contenders in CUSA for years to come, unless they move up in conference affiliation of course. 3. Steve Donahue (Boston College)- The Eagles were one of the biggest surprises in the ACC this year. Expected to be bottom feeders with many players leaving last year, the Eagles ended up almost making the tournament. You can’t say anything negative about Donahue, who looked to continue his terrific coaching this year. With the right players in his system he could be giving teams fits for years to come in the ACC. One of the best hires of the year, and was clearly one of the top three hires of last year. Donahue plays a style difficult for many teams and capable of pulling many upsets, the only problem is they’ve lost to teams like Maine and Yale recently. If Donahue can figure how to avoid this ugly early losses, then the Eagles will have no problem dancing under Donahue. 2. Brad Brownell (Clemson)- Like BC, the departure of players like NBA first round draft pick Trevor Booker, had the Tigers looking like they would struggle under Brownell in year one. After a 5-4 start nothing looked to be going right for the Tigers, but Brownell just hadn’t gotten his system in place yet. From then on the Tigers were one of the best ACC teams and ended working their way into the tournament. Enough can’t be said about how good of a coach Brownell looked to be this year, as he got the most out of his players. He needs to prove he can recruit at a high level still, but player development is one of his biggest assets. Next season might be a slight step back, as the Tigers will be very young for the next few years, but expect them to be making noise soon if Brownell isn’t scooped up by a big name school. nationally relevent team again and if he can continue to build recruiting momentum, then they will be a staple in the tournament and at the top of the Big East once again. As we all know, Freddy Garcia won the job as the 5th starter. Personally, I would’ve liked to see Bartolo Colon get a shot at the 5th spot, but I’ll trust Girardi on this one. 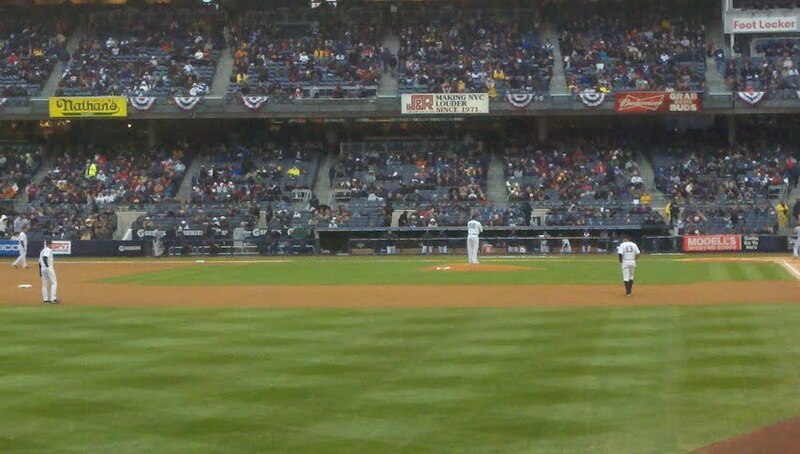 One of the guys I’m most excited about is my man Ivan Nova. If he throws like he did this spring, this rotation will be in phenomenal shape. The Yankees head into the 2011 season with a deadly bullpen. First, the Yanks signed all-star Rafael Soriano to set up Mariano. 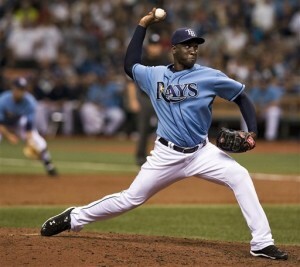 Soriano had a fantastic season last year in Tampa Bay and should be an anchor for the pen. David Robertson and Joba Chamberlain (big question mark this season) will have quality innings as well. Don’t forget Bartolo Colon will start off in the long-relief role while Boone Logan will be the left-handed specialist (Pedro Feliciano will start the season on the DL). 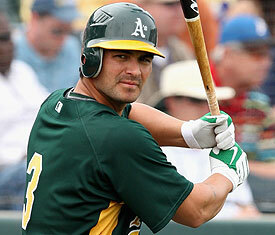 Two days ago, Jesus Montero was sent down to Tripe-A where he will begin the 2011 season. Don’t be surprised if we see him in the Majors by mid-May. Russell Martin will begin the season as the Opening Day starter while newly-acquired Gustavo Molina will start the season as the back-up (Francisco Cervelli will be out for at least a month with a broken foot). 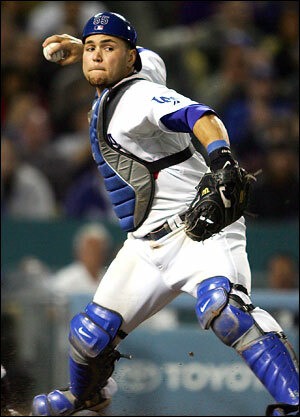 Girardi has already told to the public that Posada will not catch at all this season. One of my favorite guys this spring was Eric Chavez. Having been injured for most of the last four years, Chavez is proving that he’s one hell of a ballplayer when he’s healthy. Eric hit .395 this spring in 43 at bats. 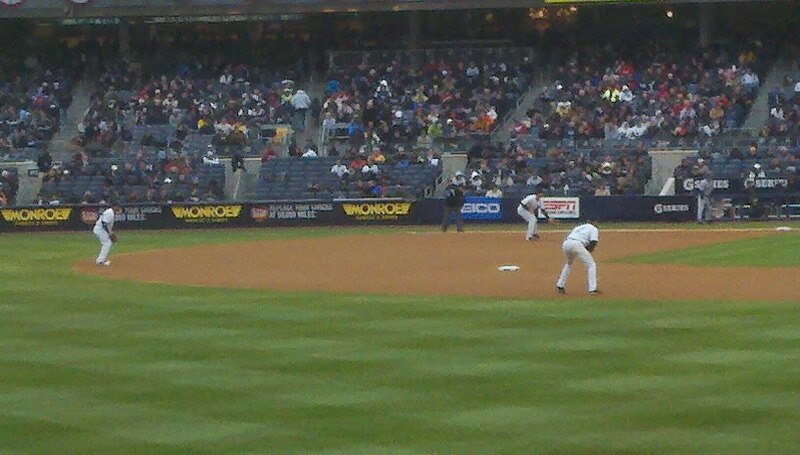 He will back up A-Rod at 3rd base and will start occasionally at 1st. Newly-acquired Andruw Jones will also see time in the outfield, especially against left-handers. Even though Granderson improved his numbers against lefties last season, Jones will see more action against southpaws. If you’re a Yankees fan, you should be excited about this year. Everyone during the off-season has been critical of our team because Cashman didn’t acquire any big names. As far as I know, the Yankees still have the best lineup in baseball. We have a group of hitters who know how to succeed in New York. Are there some major questions about the starting rotation? Of course. But who doesn’t? (Yes, you too Boston). There’s a good nucleus with this roster and we should be pumped for tomorrow. Opening Day begins tomorrow at 1pm in Detroit. Jesse Enns has nothing on this dude. Click here for the Jesse Enns hit. The fact is this is happening everywhere, and we don’t know how to stop it. This is an issue that isn’t connected to some of the problems we’ve been discussing here lately. When a coach does something its a issue left to them, and their fault. It’s not necessarily the fault of coaches and administrators when someone does a money exchange like this. Sometimes they are connected, and sometimes they are not. This is so tough to deal with and there is nothing we can do at this point. I’m open to anyone telling me how to stop it…it happens all over, and its a huge deal. For the first time in seven games, the Knicks actually won a game. With a 39 point performance by Carmelo Anthony and 20 points from Amare, the Knicks defeated the Magic in overtime by the score of 113-106. Of course the Knicks still decided not to play any defense. But Tony Douglass felt like playing some basketball scoring 16 points. The past two weeks have been so frustrating because no one, with the exception of Carmelo and Amare, wanted to play hard. Finally, Douglass gave our superstars some help offensively. Even though the Knicks beat an impressive Magic team, I still have no faith in them. It looks like the Knicks are going to be a 7-seed come the playoffs. That means they would either play the Celtics or Heat, two teams that play phenomenal defense (you think it is a coincidence that the two best defensive teams in the East are going to be the #1 and #2 seed?). With D’Antoni as the head coach, I believe this team will never find success in the playoffs. Like we’ve said before, defense is the key to have a championship-caliber team. With the Knicks back in the mid-90’s, defense was their priority. With Anthony Mason, Patrick Ewing, and Charles Oakley, no one came out of the paint alive. I can’t say the same about Ronnie Turiaf, Amare Stoudemire, and Shawne Williams. The 1994 Knicks also had guards that were very aggressive defenders. John Starks would stir up fights every game because he was in his man’s grill throughout the entire game. Do I see Toney Douglas in anyone’s grill? Absolutely not. So as D’Antoni continues not to make the adjustments for the defense, the Knicks will continue to lose to teams with less talent. So for the 2010-2011 season, we have made a full circle. In the beginning, the Knickerbockers were awful starting the season off 3-8. I was calling for D’Antoni’s head by mid-November. But then Amare had his 30+ points per game streak. They climbed all the way up to seven games over .500 by mid-January. But with an awful March, the Knicks are now at a mediocre 36-38. 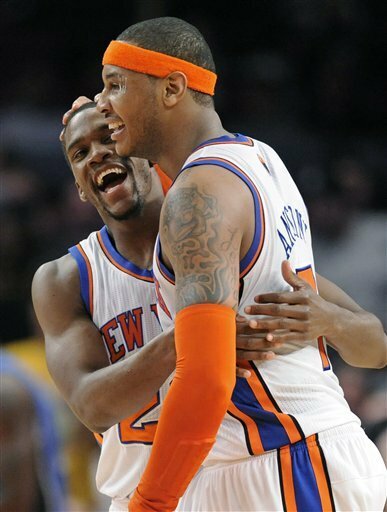 Think about it – with all the excitement the Knicks have had throughout the year (Carmelo drama, Amare’s PPG streak, etc. ), they will finish the season with an unimpressive record. Not acceptable. If the Knicks don’t improve by the end of year and play awful in the postseason, D’Antoni must go. I know that it sounds harsh given the team chemisty, but I seriously believe that he is not the coach for this team. I will never agree with his no defense philosophy. The Knicks have eight games left in the season. Tomorrow night, they take on the Nets at 7:30pm on ESPN.